Damon Albarn is as prolific as he is indecisive. One second Blur is calling it quits, the nextthey’re back in the studio recording new music. 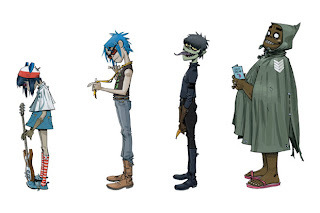 The state of Albarn’s other project, Gorillaz, is equally fluid. In 2011, rumors of the band’s demise were quickly quashed. 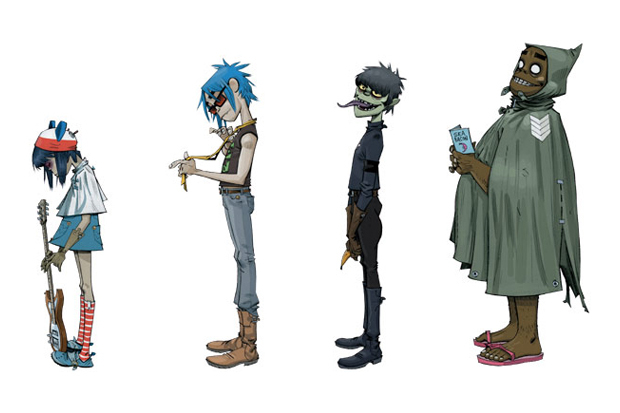 However, a year later, Albarn told The Guardian that new music from Gorillaz was “unlikely”. And speaking of Blur, Hewlett confirmed that the band is, in fact, working on a new studio album. There’s also a five years gap between the albums because they take a long time to do and- and they’re very exhausting and when you’re finished you feel like you need to go do other stuff. So Damon’s touring with Blur- hes doing a world tour with Blur at the moment and then they’re working on a new album so there isn’t really time for him, and I’m doing other stuff as well. So I think it’s, um, we’ll come back to it when the time’s right. But also the music industry’s changed so much since we started doing Gorillaz. There’s no money in the industry so you know you get these amazing new bands, like the Stripes from Ireland, kind of fourteen years old, you know, the best rhythm blues guitarist you’ve ever seen. Age fourteen, make songs and film it in their bedroom. It doesn’t cost anything, and so Gorillaz is kind of expensive. It’s expensive to do because it’s animated. …(the interviewer mentions how they can’t age, they can reunite whenever)… So there’s plenty of time basically. Hewlett’s comments echo what he told our own writer Allison Franks in an as-yet-published interview promoting his opera. Though, he was much less committal. I believe there is a future for the Gorillaz. But Gorillaz is quite a complicated and expensive thing to produce. So, I think we need to wait a little bit to see what happens because usually in the music industry everything changes. And Damon’s got a bunch of other things going on. We usually have a break for a few years in between each album anyway just to go off to do other stuff because it’s quite intensive when you do one of those albums. I’m usually doing things for a few years nonstop, so it’s good to go away and take a stop and do other stuff. But it also just depends. There needs to be a really smart idea behind each album, and we need to stay inspired. I think it’s really more collective but not alone. In the meantime, Albarn has several more festival appearances scheduled with Blur, and is also gearing up to release his debut solo album. Hewlett will bring Monkey: Journey to the West to David H. Koch Theater starting July 6th.